Investigators may get a clue Wednesday into how much money might be available for victims in the Bernard Madoff scandal. The fallen investment guru is scheduled to submit a list of his personal assets to the Securities and Exchange Commission by the end of the year, including property that could be tapped to make restitution to victims of what authorities say was a $50 billion Ponzi scheme. In a previous court hearing, Madoff also agreed to provide the names and locations of entities, bank accounts, brokerage accounts, investments or assets held by his business, Bernard L. Madoff Investment Securities LLC. Madoff's lawyer, Ira Lee Sorkin, confirmed that his client intended to meet the deadline, but offered no other comment. In the three weeks since Madoff's arrest, his investors have struggled to calculate exactly how much of their money vanished and whether anything is left. The full picture remains unclear. Yeshiva University, which had initially estimated its losses in Madoff's alleged scheme at $110 million, offered a clarification Tuesday, saying that its actual losses had been much smaller. The university's chief financial officer, J. Michael Gower, said in an e-mail that the school's actual principal investment in a hedge fund linked to Madoff had been only $14.5 million. On paper, that stake had exploded in value over the past 15 years to $110 million, but Gower said all of those "profits" now appear to be entirely fictitious, meaning that the losses were mostly fictitious too. Meanwhile, other victims continue to come forward. A publicist for the actors Kevin Bacon and Kyra Sedgwick confirmed Tuesday that they, too, were among the unlikely victims. The spokesman, Allen Eichhorn, wouldn't say how much of the married couple's savings were gone. Former Salomon Brothers Chief Economist Henry Kaufman lost several million dollars with Madoff, The Wall Street Journal said in a report published on its Web site Tuesday. Kaufman, who was also chairman of the finance and risk committee at Lehman Brothers Holdings Inc. before that firm's bankruptcy in September, said in an interview Tuesday that he had the money in a brokerage account with Madoff's firm for five years, the newspaper reported. Also, The New York Times reported Wednesday that federal prosecutors are beginning to consider what role offshore fund operations may have played. The newspaper, citing a person briefed on the investigation, said of particular interest is whether Madoff and some of his investors used funds based in offshore tax havens to evade American taxes. On Tuesday, a bankruptcy court judge allowed for the transfer of $28.1 million from one of the investment firm's frozen accounts to help cover costs associated with the liquidation of Madoff's assets to help pay off investors. The $28.1 million will not affect the amount of money investors might recover, said Richard Bernard, a lawyer representing the bankruptcy trustee presiding over the liquidation of Madoff's investment firm. Bernard said in court Tuesday that lawyers continue to investigate whether Madoff had any other accounts that have not yet been frozen. The Securities Investor Protection Corp., which was created by Congress in 1970 to protect investors when brokerage firms fail, might also pay claims up to $500,000. SIPC said in a statement that claims forms are expected to be sent to investors and creditors by Jan. 9. The forms will also be available for download on SIPC's Web site. Earlier in the week, a judge presiding over civil claims said he will consider whether to allow customers who invested with Madoff through third parties the opportunity to file claims with SIPC. Madoff, 70, a former Nasdaq stock market chairman, is accused of running a giant Ponzi scheme, paying returns to certain investors out of the principal received from others. So far, investors have said that they have lost more than $30 billion, according to an Associated Press calculation. 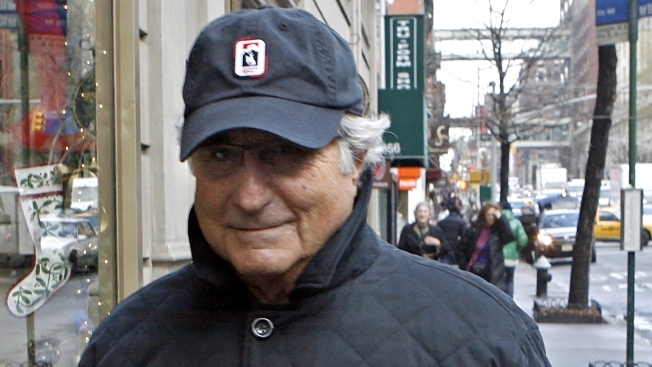 Reports indicate Madoff was running the alleged scam for decades.